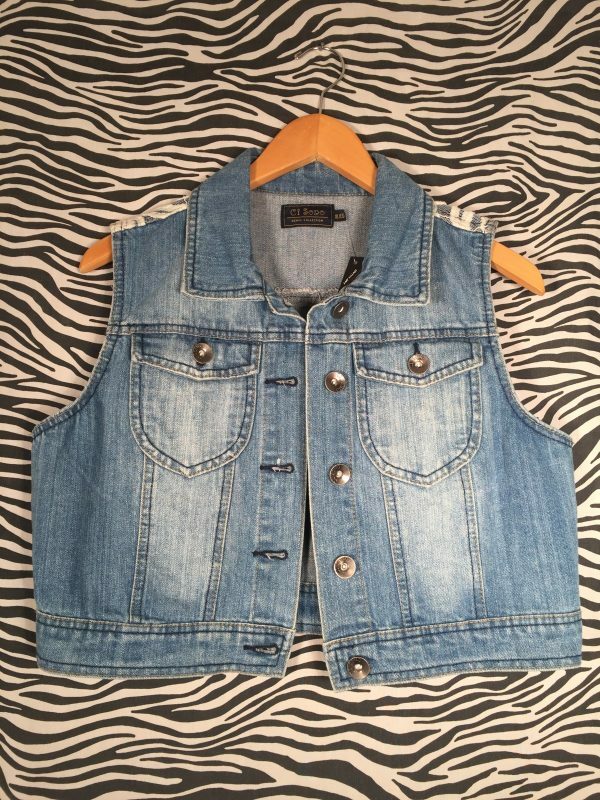 Rock on in this lace and denim vest! 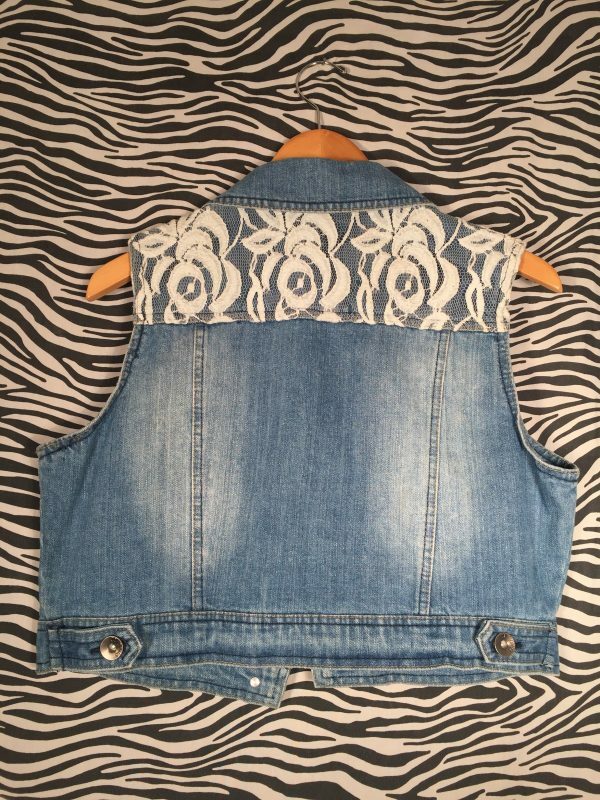 Looks great over a tee or bralette and would look extra cool with some added patches and buttons! 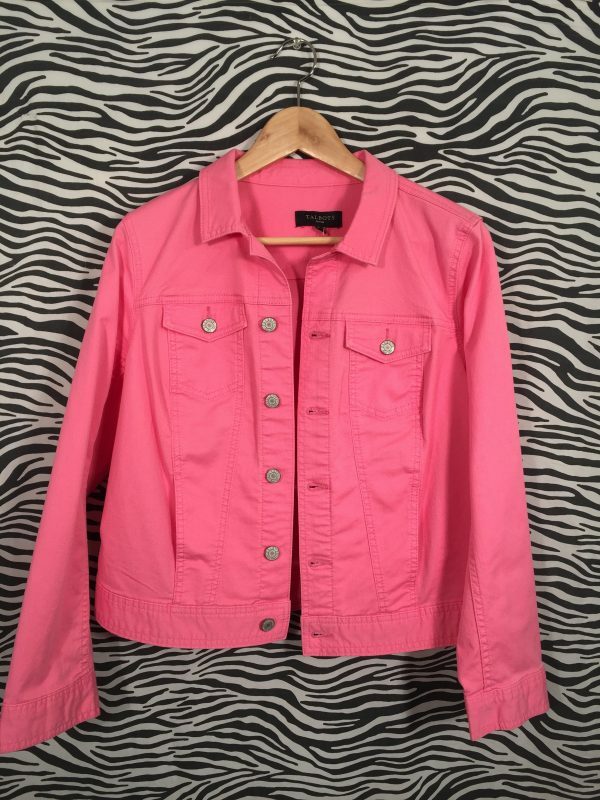 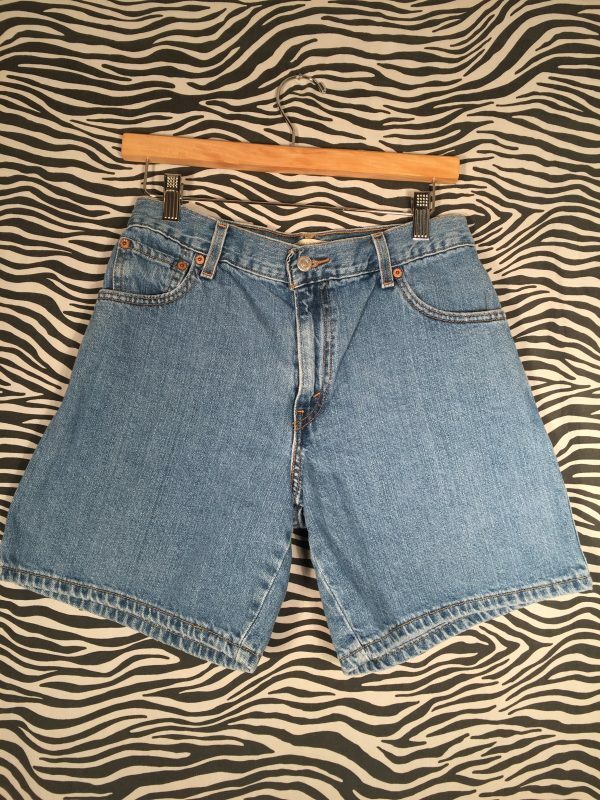 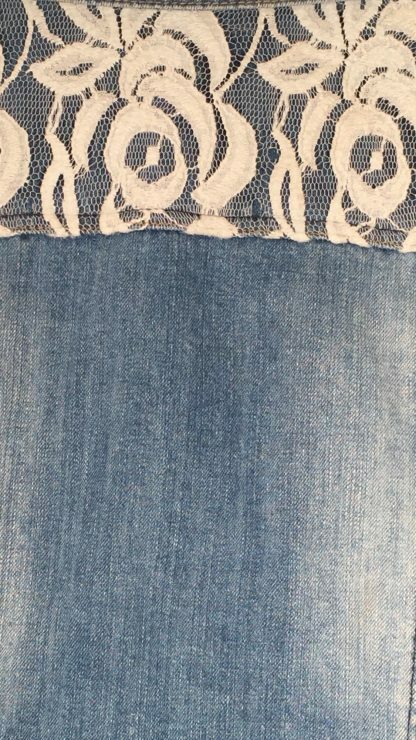 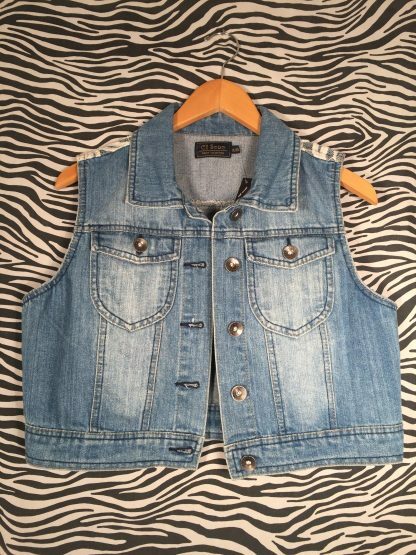 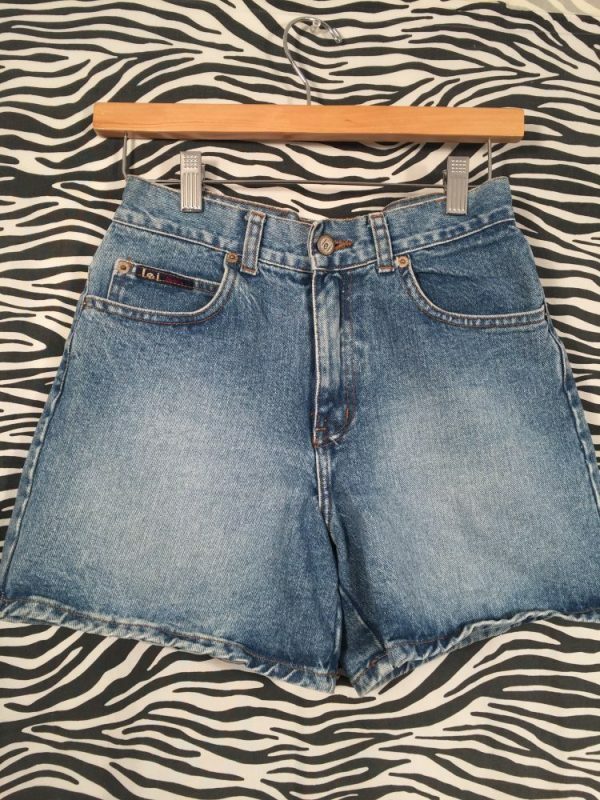 We believe this is a kid's denim vest as it is marked a size XL but measures out to be a medium adult.